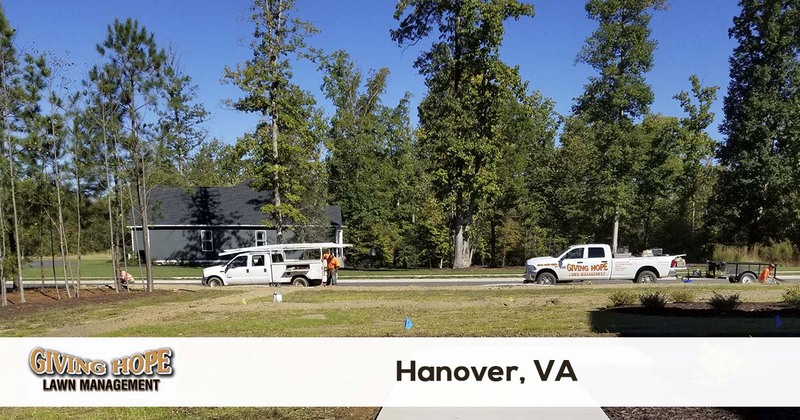 Giving Hope Lawn Management is proud to serve the community of Hanover with professional lawn care and landscaping services. For more information or to get a free quote call us today at 804-839-8340. The area of Hanover, VA, is known for many things. From exciting thrill rides to rich historical sites, the city seems to have it all! But one thing that is more challenging to find is reliable options in Hanover lawn care service providers. More than one resident has struggled to hire affordable landscaping that gets results. However, since 2011, Giving Hope Lawn Management has made your search just a little more comfortable. We’re still the number one choice in complete lawn care solutions! Whether you have trouble with your irrigation systems or just need to know your yard is in good hands, our team is always here for you. Call now and experience the best in local landscaping solutions! When other firms only want to cut grass or spray weeds, we have the affordable service for any yard. From new construction site preparation to new yard drainage systems, we care for your plants like no one else! We offer the best service for commercial and residential landscaping to save more people money each time. When you need affordable pricing for expert lawn care, look no further than our team. Call today for your best local yard care and save more every month. We guarantee your best yards and the lowest pricing possible for all complete landscaping needs! Whether you need a more reliable option in your monthly lawn care or just need to know you’re getting the best value possible, we are always here for you. Call us today to learn how we can offer your best landscaping for less! Giving Hope Lawn Management is the industry leader for lawn care and landscaping in Hanover. We offer a 100% satisfaction guarantee with all of our services, so there is no risk for you to give us a try. Give us a call today for the fastest service at 804-839-8340.